On 6th and 7th March 2017 the Bishop of Durham, Rt Revd Paul Butler, received written answers to questions he had asked of Government about resources and capacity available to help unaccompanied child refugees. The Lord Bishop of Durham: To ask Her Majesty’s Government what steps they will take to ensure that local authorities have sufficient resources to accept unaccompanied child refugees in the financial year 2017–18. Baroness Williams of Trafford: On February 8, the Government announced that we will transfer the specified number of 350 children to the UK under section 67 of the Immigration Act following consultation with local authorities on capacity. We ran a full consultation process, with regional events in every part of England, one in Scotland and one in Wales. Over 400 local authority representatives attended the regional events. Any further places offered by local authorities will be gratefully received, and we will use them to fulfil our existing commitments, including ensuring a fairer distribution of children between local authorities through the National Transfer Scheme. In July 2016 the Government significantly increased the funding it provides to local authorities who look after unaccompanied asylum-seeking children. Local authorities now receive £41,610 per annum year for each unaccompanied asylum-seeking child aged under 16 and £33,215 per annum for unaccompanied asylum-seeking child aged 16 and 17. This represents a 20% and 28% increase in funding respectively. In addition, the Government went further and also increased the funding it provides to local authorities for those young people who turn 18 and go on to attract leaving care support by 33%. We will be working with local authority partners to conduct a review of our funding rates and remain fully committed to maintaining the current rates. 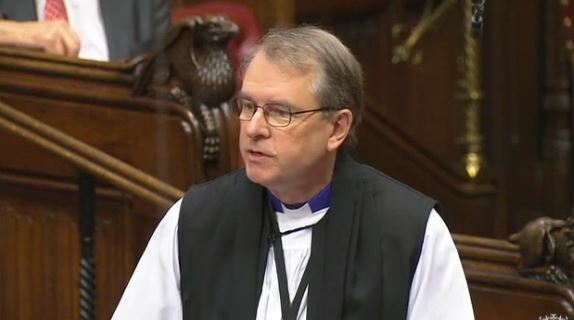 The Lord Bishop of Durham: To ask Her Majesty’s Government what steps they have taken to assess the capacity of local authorities to accept unaccompanied child refugees brought into the UK under section 67 of the Immigration Act 2016 in the financial year 2017–18. Answered by: Baroness Williams of Trafford: On February 8, the Government announced that we will transfer the specified number of 350 children to the UK under section 67 of the Immigration Act following consultation with local authorities on capacity. We ran a full consultation process, with regional events in every part of England, one in Scotland and one in Wales. Over 400 local authority representatives attended the regional events. Any further places offered by local authorities will be gratefully received, and we will use them to fulfil our existing commitments, including ensuring a fairer distribution of children between local authorities through the National Transfer Scheme. The Lord Bishop of Durham: To ask Her Majesty’s Government how many spontaneous arrivals of unaccompanied asylum-seeking minors were recorded in Kent during (1) October to December 2015, and (2) October to December 2016. Baroness Williams of Trafford: The Home Office publishes the number of asylum applications from Unaccompanied Asylum Seeking Children, each quarter in table as_08_q of the Immigration Statistics release. The latest figures are available at: https://www.gov.uk/government/publications/immigration-statistics-october-to-december-2016/list-of-tables#asylum .